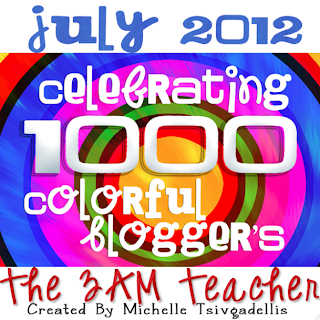 Primary Possibilities: Giveaway- 200 followers and $10 TpT gift certificate and More! 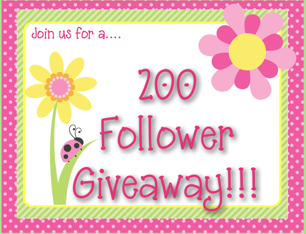 Giveaway- 200 followers and $10 TpT gift certificate and More! I have so much to talk about today. First of all... I hope everyone had a great Fourth of July! Just like our students, we set benchmarks as teachers. Goals keep us striving to do more and work harder. Benchmarks can be large or small. I have several blog benchmarks that have recently been met. Michelle at The 3am Teacher is having her 1000 follower celebration! Click the image to hop on over to her blog and check it out! Congratulations, Michelle! As I was saying, benchmarks can be large or small. Our blogging friend over at Kickin' it in Kinder is celebrating her 100 followers with a Giveaway! Click here to go check it out! Speaking of benchmarks and followers. . . Did you see that we are at 200 followers? You know what that means . . . GIVEAWAY! We have soo much to offer. Since we didn't do anything big for our 100th, we decided to make this one a little more worth it. So . . . here we go. Drumroll . . . .
We have some pretty amazing contributors to help us celebrate. We will have several winners. This is what you could WIN! Any one item in Randi's TpT store. Click here to visit her store. Any one item in Jessica's TpT store. Any one item from Tonya's TpT store. Click here to visit her store. 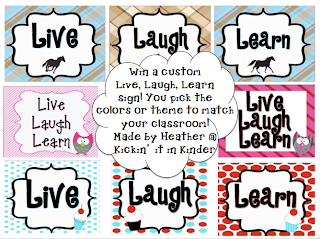 Custom Live, Laugh, Learn sign. Click here to go to Heather's blog. 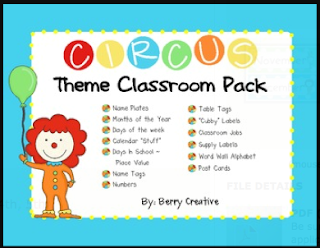 Kathi's Circus Theme Classroom Pack. Visit her TpT store here. Any one item from Stephany's TpT store. Click here to visit her store. 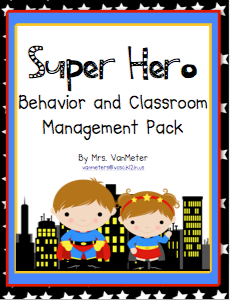 My Super Hero Behavior and Classroom Management Pack! Visit my store here! Tania is going to throw in a $10 gift card to TpT. Click here to visit her blog. $10 Gift Certificate to TpT! Here is how you can enter. We have several ways to enter. The more you enter, the better your chances are of winning these amazing prizes! Good Luck! Be sure to check out all these amazing blogs and TpT stores. Best of luck. I would love to win the gift card to tpt! I would love the tpt gift card! I just reached 100 followers and I'm having a Linky Party and Giveaway on my blog- come check it out!!! Looks great, way to go! Congrats on reaching 200!! I would LOVE LOVE LOVE to win assessment pieces from Stephany's TPT store!! So many great resources! They all look great-but of course the gift card to TpT is fabulous! Here is a shout out for you ladies and your giveaway! The 3am Teacher and Primary Possibilities Giveaways! Definitely the $10 TPT prize! Congrats on 200 followers! I'd loooove to have the TPT certificate! Thank you for doing this! Congrats on 200 followers! Thanks for checking out my blog. I am now your newest follower. I love how many new blogs I find each day! 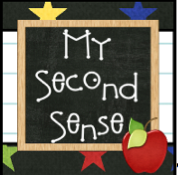 I just found your blog through Me Teach Good. I'm a fellow Indiana Teacher! I would appreciate any product but if I had to choose it would be the TpT gift certificate. I have so many items on my wish list!! I'm just getting around to responding to your comment on my blog. 200 followers? How exciting! Btw, I'm most excited about the TpT gift card and certificate! Congratulations! I love the pre-primer sight word pack. I'm most excited about the TpT gift certificate as there are so many great materials available for the beginning of the year! I would love to win the TpT gift certificate. So many wonderful activities! I would love to win the TpT gift card! I'm wishing for the TPT gift card. Any of the prizes would be great, but a TPT gift card would be super fun! So much that I want!!! Congrats on 200 followers! Would love any of it but the gift card would be great too! Congrats on your 200+ followers! What a great giveaway! Tough choice on what I would choose, so I guess it's easiest to go with the gift card so I can shop at many of the stores! Thnaks so much! Congrats on your 200+ followers! Great giveaway! Nice to find a blog with some fellow Hoosier! Obviously should read the requirements before posting! lol And spell check! I'd love the gift certificates! I've got so many things on my wishlist! 134 items on my wish list! I'd love to win a gift card! =) Love your blog! It all looks fantastic, but I have a large wishlist at TPT and that gift card would be great! I would just like to win. Everything looks so wonderful. Congrats on 200+ followers! All of the prizes are great! I would love to win the gift card to TPT! CONGRATULATIONS on reaching 200 followers. I love reading the ideas on your blog. Thanks for hosting this giveaway, I would love to win any of the prizes listed. Id love to win any of the prizes!! But especially the TpT gift card! Thank you for the opportunity. I would love the TPT gift card. I am loving the TpT gift certificates. My wishlist has been growing daily! Ummmm, favorite? Probably the $10 gc on TPT. Can never have it all in my wish list! I would love to win the TPT gift card. Anything would be wonderful but a gift card is always great! Congrats! I am your newest follower and I blogged about your giveaway! Congrats on your first 200 followers! Here is to your next 200 and more! This is a hard decision but I would like the TpT gift card. I'm looking forward to winning anything, but I think I'd like the TpT gift card the most! Thanks Casey! Heading over there to your blog! Thanks Janine! I will come over and check it out! This is so hard! I would like to win Teach it With Class's "Clipboards, Highlighters, and Dice Oh My" packet. Thanks for stopping by Amelia. I will have to go check that packet out! I don't know which product I'd be most excited about. I just checked out all the stores and they all look great!! Thank Katie! Your store is pretty awesome too! I live your QR code products! Wish I had an iPod! I also wanted to let you know that I blogged about the giveaway here! Congratulations on 200+! :) I would love the cause and effect matching game from Stephany's store. I'm a new follower! They are all great prizes, but I would love the gift certificate to TPT so I can buy several things! I would love the TPT gift card...I have already spotted some great things I would love to buy! Thanks Megan. I was just at your blog today after I checked out a pin on Pinterest! Lots if great ideas! The superhero pack looks adorable!!! I meant Stanford - lol. Mrs Sanford teaches at my school! I want it all, but the TPT gift card would be awesome! I love all the creative lessons/activities from TPT! Congratulations on reaching 200 followers! I am hoping to get there soon too. Congratulations. I am hoping to win the TpT gift card. But I love everything! Congrats ladies! Love your blog and all your creative ideas! Would love any item from any of the talented teachers stores!!! I would love the behavior management pack! Congratulations! I would love to have a $10 TpT gift certificate! My wish list on TPT is overflowing, so I'd be thrilled to get a gift certificate! Congrats on reaching 200 followers -- thanks for the great giveaway! My eye is on the TPT gift card! Congrats on such a huge accomplishment! 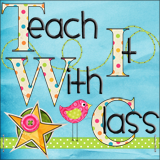 I would love to win the TPT gift certificate! The TPT gift certificate is my favorite!